Reduced fat. Resealable tray. Natural cheese. Made with 2% milk. 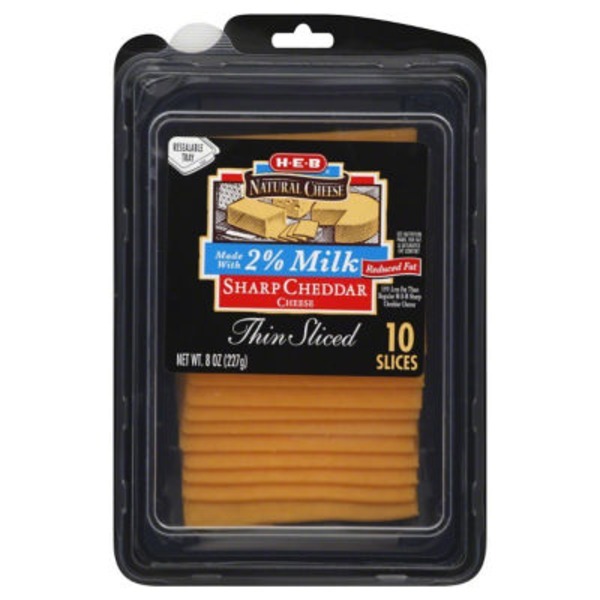 33% less fat than regular H-E-B Sharp Cheddar Cheese. Fat content reduced from 7 g to 4 g per serving.